Add even more personality to your Arms fighter of choice by customizing their color scheme. Arms is the hottest upcoming game for the Nintendo Switch, and a lot of players have already jumped headfirst into the title's unique combat thanks to the game's currently in-progress Global Test Punch. Between the number of available characters on the roster and the huge selection of various arms to use, players are spoiled for choice when it comes to customizing their characters. However, there's one added layer of customization that can help players stand out from the competition, and that's the option to change a given character's color scheme. 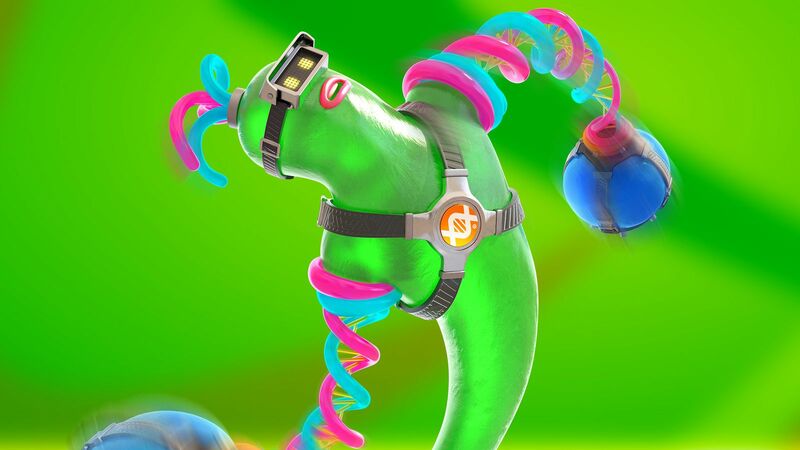 Changing a character's color in Arms couldn't be much more straightforward. Players only need to head over to the character select screen, hover their selection over the character they intend to customize, and then press and hold the left analog stick inward. With the stick pushed in, moving the analog stick right, left, or down will access that specific character's different color combinations. Once a preferred scheme has been identified, players need only press A in order to confirm their selection. It's a small option, but being able to change a character's color scheme in Arms is yet another layer of customization that allows players to more closely identify with their fighters. And, given that Nintendo has promised free future updates to the game, Arms players may be able to select from even more color schemes in the future. Arms is very close to its intended June 16 release date, and any players what are interested in the title should feel free to check out Modojo's Arms Review to get a taste for everything the game has to offer. As always, stay tuned to Modojo for guides and news regarding future updates and features to Arms. Arms is one of the most buzzworthy games to land in the Nintendo Switch library, and there's a great argument to be made for its inclusion on our list of the Best Nintendo Switch Games.